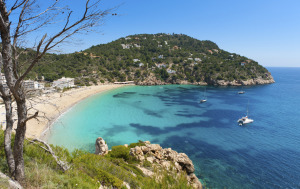 You are here: Home / destinations / Does a Sailing Holiday in Spain equal Fun? 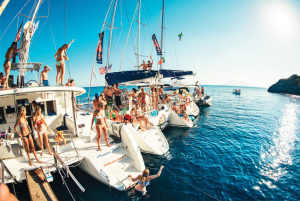 Does a Sailing Holiday in Spain equal Fun? Traveling to Spain: any city, any island, any time of the year, seems to be a undying trend of the modern era. 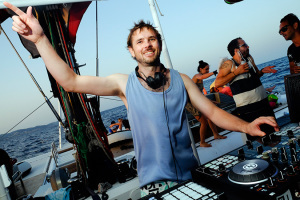 There is no end to the activities both cultural and mind blowingly exciting that can be enjoyed and taking advantage of the long stretches of coast and the fair Balearic Islands remains one of the top 5 thing on the “TO BE DONE” list when visiting Spain. Intense, stylish and committed, this is the fire that pervades Spain and renders this country both a land of clichés and one of the most alluring countries of Eur ope. Like many countries whose shores are lapped by the Mediterranean Sea, Spain enjoys a sunny weather for most of the year and the balmy atmosphere and crystal clear waters are a big help in making any visitor start to “feel in holiday” on arrival! Food and wine are one of the national treasures and taken very seriously by the locals, so that going to a tapas bar in a side street or to a starred restaurant on the main boulevard will make no big difference in your culinary experience. The vastness of cultural experiences you can have in this land and the passion that is suffused in every little thing and every person that you might see and met in Spain makes this country a rare gem indeed. The stunning cliffs of Spain’s Atlantic coast, the beguiling bays of the Mediterranean side, the glamourous feel of Ibiza, Mallorca, Menorca and Formentera with their world famous nightlife and the spirited life of the main metropolis: Madrid and Barcelona; all this can be enjoyed by taking part in a s ailing charter in Spain: from just a one day cruise to a week long yacht tour along the coast or around the Balearic Islands, sea sailing in Spain is most certainly one of the best ways to appreciate this country to the fullest. 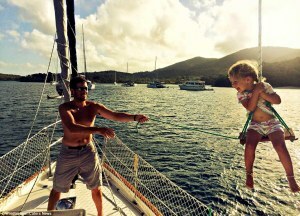 A sailing holiday of any length is an activity that can be recommended to any type of visitor. As a fact the sailing boats, catamarans and gulets sailing along the coast of Spain can be enjoyed by both adults and children. For example there are many sailing yachts of various kinds offering daily cruises with many kind of themes. From the most simple: a four hours long excursion aboard a yacht to swim and sunbathe in the most amazing coves with the clearest water you have ever seen outside of a desktop wallpaper, where your children will have the most fun ever playing pirates, to a gin and jambon tasting water tour with a Dj on board to relish with your friends and have a taste of the “fuego” that characterizes the Spanish way of life. Such tours offered from the main cities and islands can be considered a good way to approach the idea of taking part in a sailing holiday. Most people have never been on a sailing yacht or a catamaran before and already the small strip of wood that you have to walk to get from the pier to the boat might seem like the most daunting task that has ever been required of you, let alone spending a whole week on the yacht! So why not try it for just a few hours or a day? Get your feet wet, so to say! Most sailboats and catamarans offering one day cruises or few hours long excursions have a wide range of activities which you can chose, that can also be adjusted to the age of the participants and can also be enjoyed while staying moored at the harbour if you are not sure about your “sea stomach”. Or if you are a veteran of sailing holidays all around the world, why not explore the coast of the Mediterranean side of Spain? 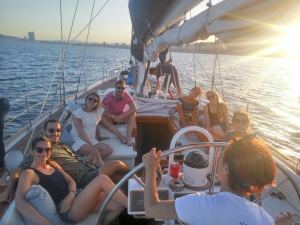 Sailing tours of all kind are offered with starting points from the mainland or directly from the Balearics, visiting both the wild, rugged and uninhabited islets, like Es Vedrà to participating in a beach party in Ibiza, a sailing holiday of the week long kind will be the perfect way to make all your wishes come true. 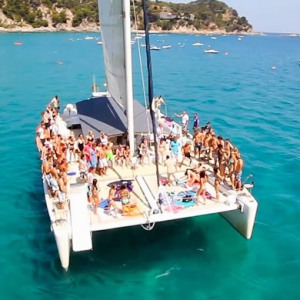 Just be ready to be amazed by all that a sailing vacation aboard a yacht in Spain can offer! Next: A Sailing Vacation in Cuba: 10 Things to Know! Cabin Charter or Bareboat Charter? The in And Outs of Cabin Charter: Is it good for All? A Sailing Vacation in Cuba: 10 Things to Know!